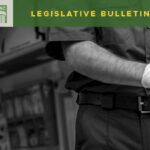 The first week of the 2019 legislative session brought with it many legislative committee work sessions and several bill hearings. The Senate and House Transportation Committees spent much of the week hearing from state agencies and staff on the state of transportation. Presenters included WSDOT Secretary Roger Millar, WA Transportation Commission Director Reema Griffen, Office of Financial Management transportation budget lead Dean Carlson, WA Traffic Safety Commission Director Shelly Baldwin, WA State Patrol Legislative Relations Director Monica Alexander and legislative and budget policy staff. I testified in Senate Ways & Means on SB 5130, Sen. Christine Rolfes (D-Bainbridge Island). 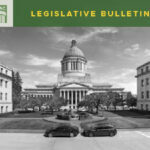 SB 5130 is Governor request legislation that would provide funding for the replacement and repair of state fish passage barriers. 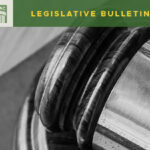 Specifically, SB 5130 would impose a graduated real estate excise tax (REET) beginning July 1, 2019. It would also move up the effective date of certain vehicle weight fees. The REET proposal comes about as State finds itself under a court injunction after losing a lawsuit brought by tribes in the early 2000’s. The injunction requires the State to replace and repair over 800 fish-blocking culverts in the Puget Sound area by 2030. While Counties are not subject to the injunction, we know we have over 3,000 fish-blocking culverts in the same geographic area, and that for every one state-owned culvert, there are an additional two culverts downstream and five upstream. From the counties perspective, it does not make sense to spend money on a state culvert if you do not address the barriers downstream. The Governor’s proposal, while a significant step forward, falls short in addressing the entire problem. No REET revenues are directed toward local government culverts. I also testified in the House Capital Budget Committee on the Governor’s capital budget proposal. Specifically, I spoke to the culvert issue. Again, the Governor’s budget falls short in addressing the local government culvert problem. His budget funds half of the Fish Passage Barrier Removal Board’s $50 million capital request. We are encouraging the legislature to fund the Barrier Removal Board’s entire $50 million budget request. On Thursday, Rep. Jake Fey, Chair of the House Transportation Committee, presented to WSAC’s Legislative Steering Committee (LSC). Rep Fey spoke about his goals for the legislative session, including a focus on “green” transportation. Rep. Fey is interested in addressing the impacts the transportation sector has on climate change. This includes looking to offer more electric vehicle incentives, exploring the use of alternative fuels, and allowing public utilities to make investments in electrification infrastructure. In addition, he is also interested in addressing the culvert problem, with an acknowledgment that counties, cities and private owners need assistance. Finally, he spoke about the recent announcement of a new $30 car tab initiative that will be brought to the November ballot. A $30 initiative could have devastating impacts to the transportation budget, specifically on the Sound Transit 3 expansion, Transportation Benefit Districts (TBDs) and the multi-modal account which funds important transportation programs. As we enter the 2nd week of session committee work sessions and bill hearings will continue. 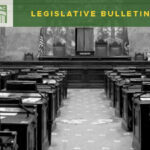 On Tuesday the Senate Local Government Committee will hear SB 5179, Sen. Marko Liias (D-Mukilteo), concerning county electrical illumination equipment. SB 5179 eliminates the $10,000 bid limit provision for electric illumination equipment such as traffic signals and flashing sidewalk beacons. Kitsap County initially approached WSACE about pursuing this change. On Tuesday I will also be presenting on the state of county roads to the Senate Transportation Committee. With so many new members on the committee, this is a great opportunity to review our funding structure and highlight our needs. Wednesday brings another busy day, with an invitation to present the WSAC and WSACE transportation legislative agenda to the Transportation Commission. I will join the WA Public Ports Association, the Association of WA Cities and the WA Transit Association in highlighting our priorities for the session and talking a bit about our organization. Finally, the WSACE office is finalizing plans for our Professional Development Conference taking place February 6-8 in Cle Elum, WA. This year WSACE has invited leadership coach Kevin Eikenberry to present on leadership development and coaching. Turnout is expected to be excellent, and we are looking forward to an informative and productive three days.